Grasslands of Wales. A Survey of Lowland Species-rich Grasslands, 1987-2004. 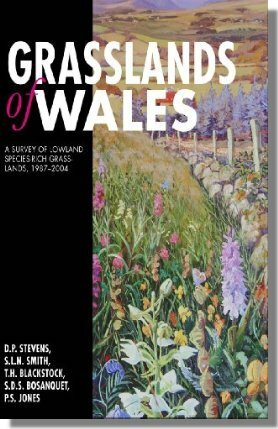 This book provides a unique account of the vegetation of species-rich lowland grasslands in Wales. It describes the findings of a comprehensive field survey of all significant stands of agriculturally unimproved lowland grassland and other vegetation associated with this fragile and declining resource. The book includes phytosociological floristic descriptions, extent data and distribution maps of the lowland grassland plant communities encountered. 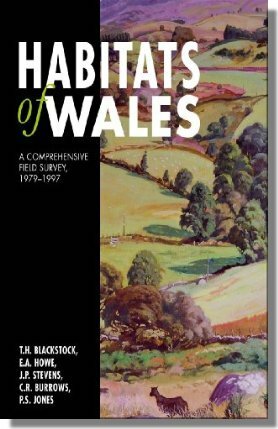 This book is a compilation and interpretation of a major Habitat Survey of Wales undertaken in the latter part of the twentieth century. All the major forms of terrestrial habitats, including different forms of woodland, grassland, heathland, mire and coastland, are taken into account. The results of the field survey are summarised from a 1km square dataset and from a fully digitised version. Habitats of Wales will be of wide interest in academic and conservation circles as a major source of information and analysis of the natural environment of Wales. DID YOU KNOW? President Jimmy Carter and HRH Prince Charles have fished on the Teifi.